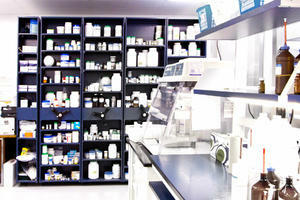 Veterinary Pharmacy | Montel Inc.
Veterinary Pharmacy Selects Montel’s Quadramobile Shelving To Speed Its Operations. 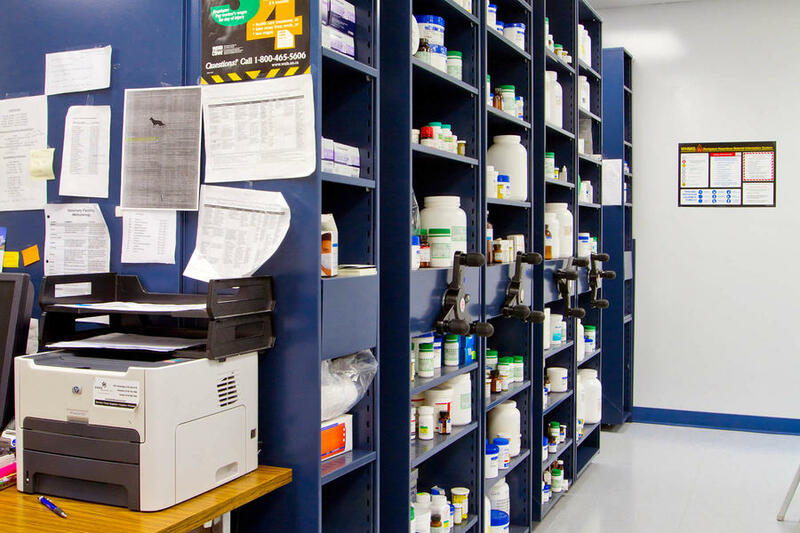 This business that services veterinarians as a compounding pharmacy has been in operation since 1979 and was expanding the physical size of their operation and adding on a lab. 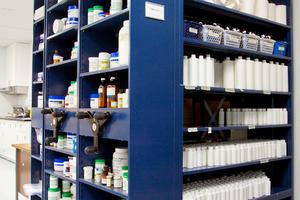 The owners desired to store most of their common and frequently accessed medications in one portion of the lab. 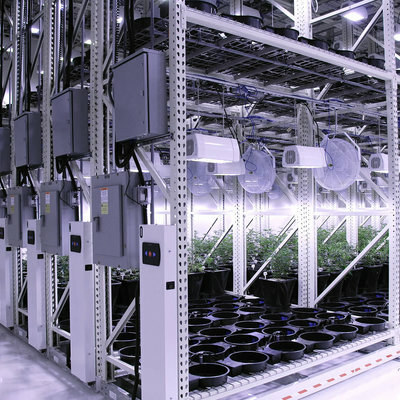 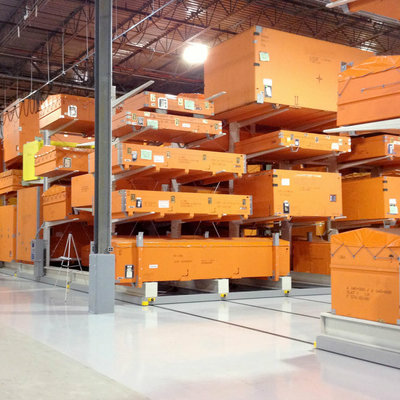 The objective was to centralize their medication storage in one area of the lab and ensure that they can maximize the footprint of the remainder of the lab. Pharmacists and lab technicians are frequently requiring different medications from the storage area so it needed to be centrally located, easily accessible, and have the ability to be configured to match the various size requirements of the medications being stored. 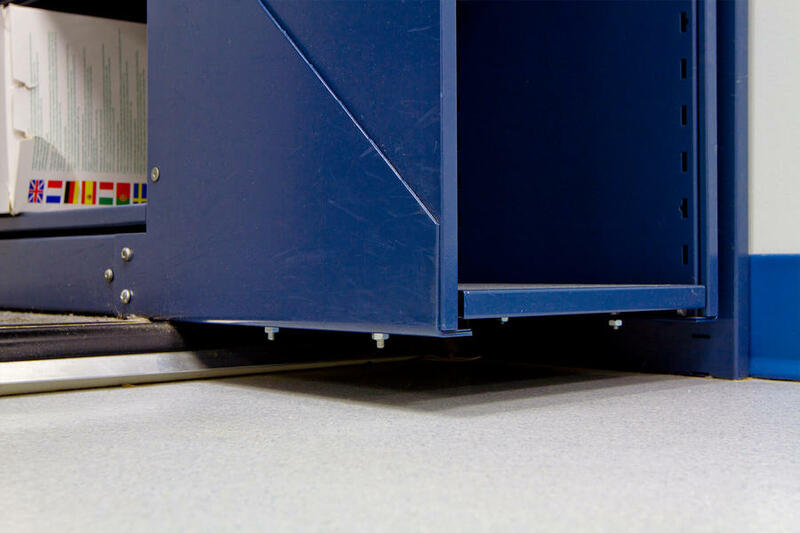 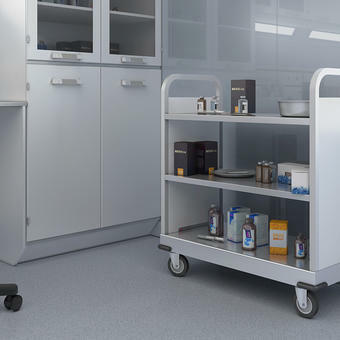 A SmartSpace Plus 2MA system was designed to fit the space location that had been set aside for the medication storage area. 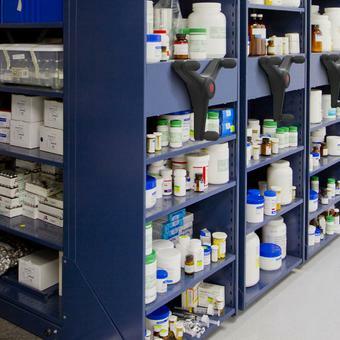 SpaceFront™ was added to the configuration to enable frequently accessed medications to be stored within easy reach so that staff members could “grab and go”. 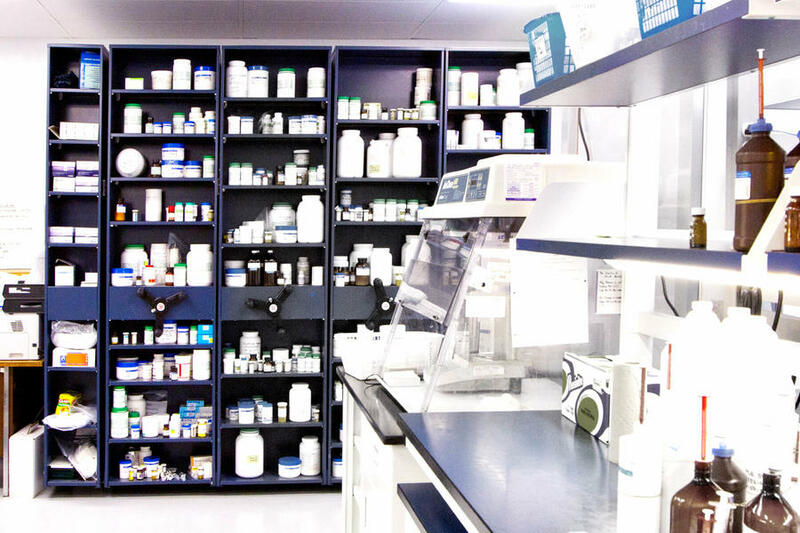 Another added benefit of using the SmartSpace Plus 2MA system is that it will allow the pharmacy the ability to easily add on additional capacity as the needs of the lab continues to grow. 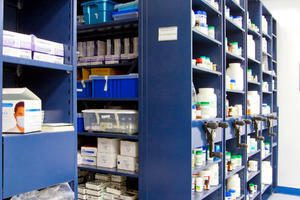 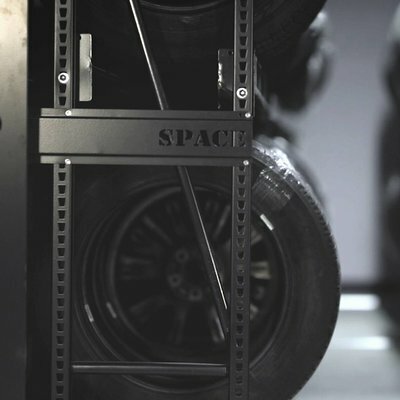 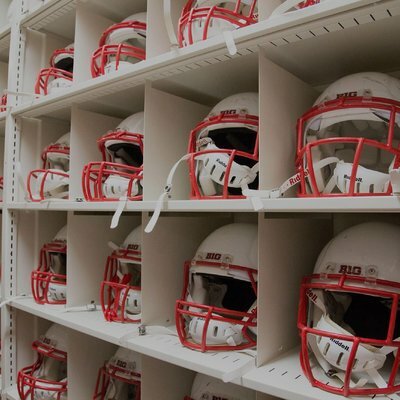 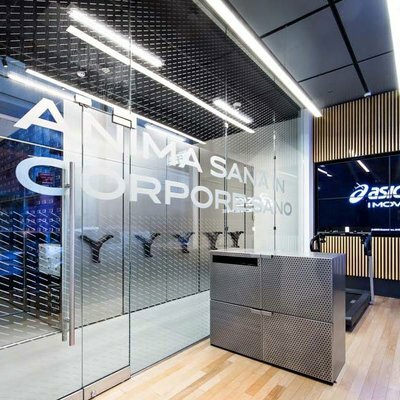 Design incorporated SmartSpace Plus 2MA to ensure that as the lab grows, the storage system can also grow. 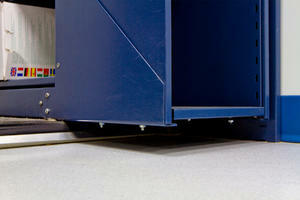 The system color matches the other aesthetics of the new lab. The centralization of the storage for the new lab ensured that the pharmacists and lab technicians are able to operate independently and efficiently without interfering with each other. 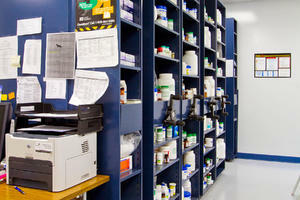 All common medications for the entire lab is now centralized. 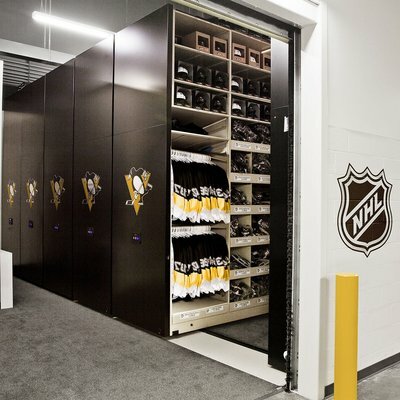 The storage is now in a separate and isolated area. 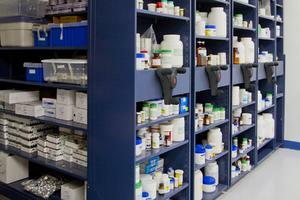 Storage is easy to operate for the moderate number of pharmacists and technicians working and frequently requiring access to the many different medications. In using SpaceFront™, the most frequently used medications can quickly be accessed and then returned after their use so that other staff can have access to them.